I’ve tried every way to make rice milk and I didn’t like any of them but I was determined to get it to work until I had an idea. I like the consistency of raw rice rice milk but I didn’t like how it tasted. It was to raw. I was going crazy trying to think of how to get it with a cooked flavour and then it hit me. Toasted. I make my own rice flour for a variety of reasons, one of which being, to make short bread. After or before I make my rice flour, I toast it to preserve it and to stop it from going moldy to make sure it has no more moisture left after soaking it. So I did this to my rice milk batch. 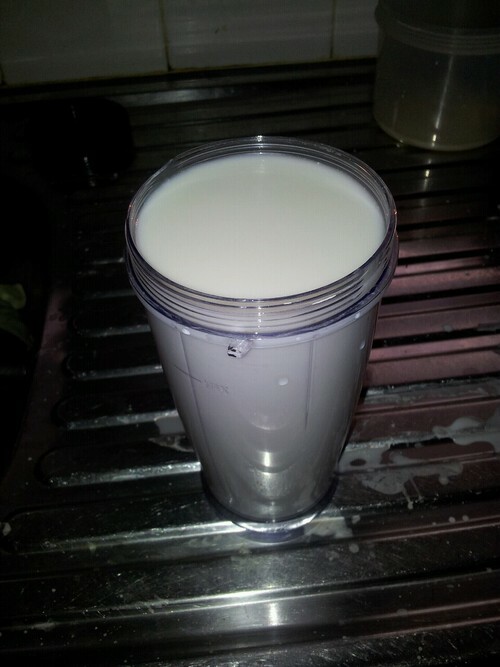 When I placed my hands in the milk (something I do to check the consistency) I noticed it was exactly like cows milk. Very white, watery like cows milk and it tasted a lot better. However to use it, it functions like any other type of rice milk except my batch is much stronger than store bought. I was very surprised by the resulted and delighted. After all the recipes I tried and read, this method works better. I tried it all and I am glad I had thought to toast my soaked grains. I hope this post might help others out there making their own home made rice milk.